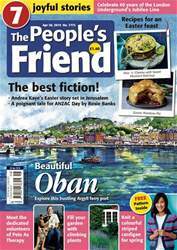 (1 Customer Reviews) | Write Review 52 issues per year The People’s Friend is the perfect weekly magazine for everyone who enjoys good reading. Since 1869 it has been delighting readers around the world with its entertaining stories, serials and features, all with a distinctly Scottish flavour. 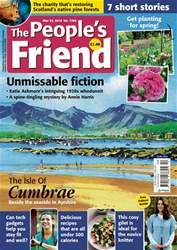 Every issue is packed with feel-good short stories and serials, cookery, craft, knitting, puzzles and health tips, as well as fascinating features on scenic locations around the UK. It justly deserves its reputation as the Famous Story Magazine, and will brighten any reader’s day! The digital edition of the People’s Friend is just as friendly and feel-good as the print edition in a convenient and accessible format. Looking for The People’s Friend in print? Unfortunately pocketmags.com does not sell print copies of The People’s Friend, but all is not lost. Our partner at magazine.co.uk sells print subscriptions at the best prices online. Stories, serials, health, gardening, knitting, recipes, travel, and much more inside. 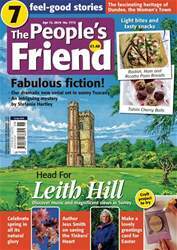 The People’s Friend is the perfect weekly magazine for everyone who enjoys good reading. 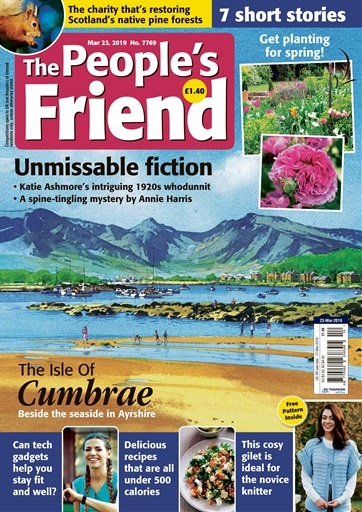 Since 1869 it has been delighting readers around the world with its entertaining stories, serials and features, all with a distinctly Scottish flavour. 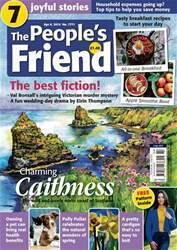 You'll receive 52 issues during a 1 year The People’s Friend magazine subscription. Great General Reading Mag - Great gift for Moms and Grandmothers, especially if they're Scottish. You'll receive 52 issues during a 1 year The People’s Friend magazine print subscription.